My new children's book "Dirty Birds" has been released. Look for it in paperback on Amazon. Will be at other outlets soon. "Little ones will love learning about numbers and counting with this bright, colorful book. The rhythmic text, paired with whimsical illustrations, makes counting from 1 to 5 easy and fun. 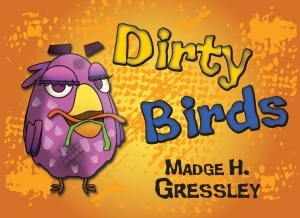 both toddlers and preschoolers are sure to enjoy "Dirty Birds" as part of their story-time routine."